The INTACT project was finished end of November 2015. An overview of the project and the results can be found in the final report. Annika Jokiaho presented the INTACT platform in Barcelona on July 5th 2016. During her presentation, based on "INTACT – A Platform for Collaborative Online Teaching and Learning across Culture and Technology", she focused on the main features of the INTACT platform as well as the approach for defining the functional requirements. 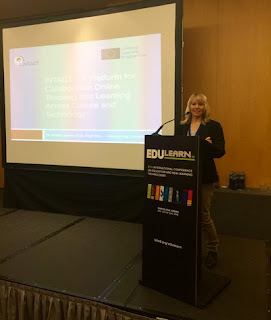 She also presented the specific developed features for enabling students collaborate with other students in real time. Several participants from different countries declared interest in using our platform. 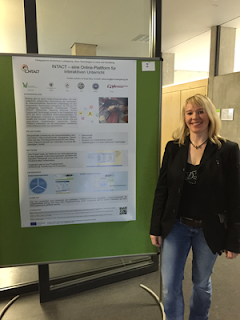 The INTACT-project was presented at the Research Day at the University of Ludwigsburg on February 16th 2016 by Annika Jokiaho for students and lecturers from all Universities of Education in Baden-Württemberg. 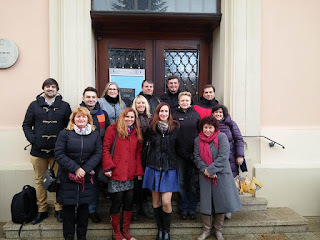 The partners of Intact met for two days in the beautiful baroque city of Ludwigsburg where it all began 3 years ago. 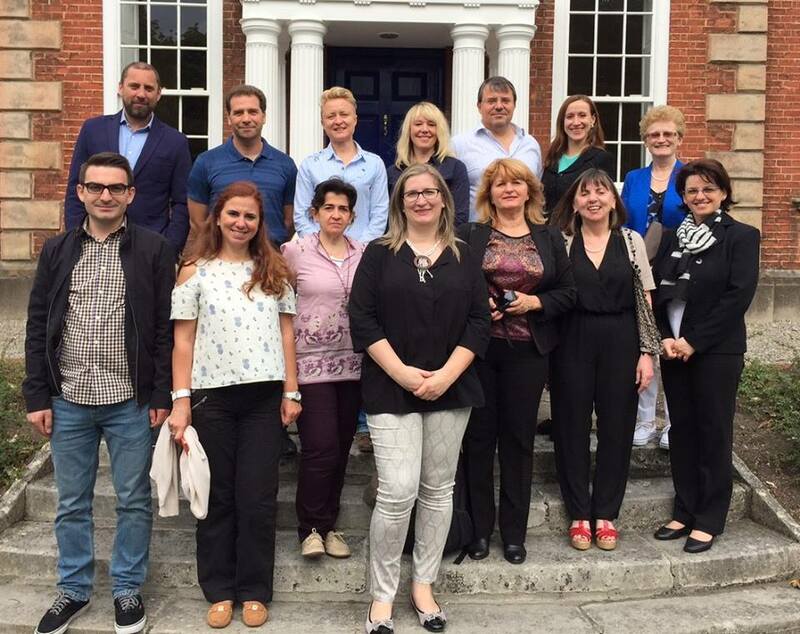 During the project meeting, the partners discussed exploitation strategies in order to guarantee the sustainability of INTACT and participated in a very fruitful self-evaluation workshop. A big thank you to all the partners, pilot teachers, contributors to the teaching resources, schools and stakeholders. It has been an incredible journey! The INTACT project gathered at the Polytechnic Institute of Bragança. As we approach the end of our project a lot of hard work is being done to optimize our platform and resources. 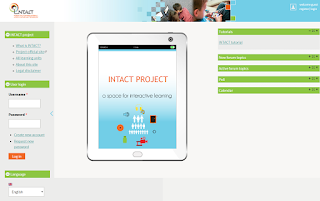 INTACT a solution for interactive learning with 21st century skills. A new platform for your educational needs! If you are looking for a space where teaching and learning can be interactive for several age levels, you landed in the right place. The INTACT platform allows you to use the existing catalogue or to adapt your own lessons, providing a device-independent opportunity in the classroom or at home. 6th INTACT Project Meeting at St. Patrick's College Dublin, Ireland. Dia duit! Disclaimer: This project has been funded with support from the European Commission. Powered by Blogger.